I’ve never been much of a milk drinker. When my family and I switched to a plant based diet giving up dairy wasn’t really that hard for me. For my son it was a little tougher. He normally starts his morning with a glass of hot milk. I knew there were a ton of non dairy milk substitutes on the market so I figured we would be ok. Then I took a look at some of the ingredient lists. Quickly the options of non dairy milk substitutes dwindled down to 2 0r 3 choices. WestSoy has an unsweetened soy milk that I like and Pacific Natural Foods has an oat milk that I really like. Both are great to use in a pinch but I really like making my own ‘milk’. Not only do a I get fresh milk with no added preservatives or chemicals but I also end up with homemade almond meal! It’s like BOGO but without the shoes. I like shoes. They are pretty. After you make your almond milk you should go buy shoes. 1. 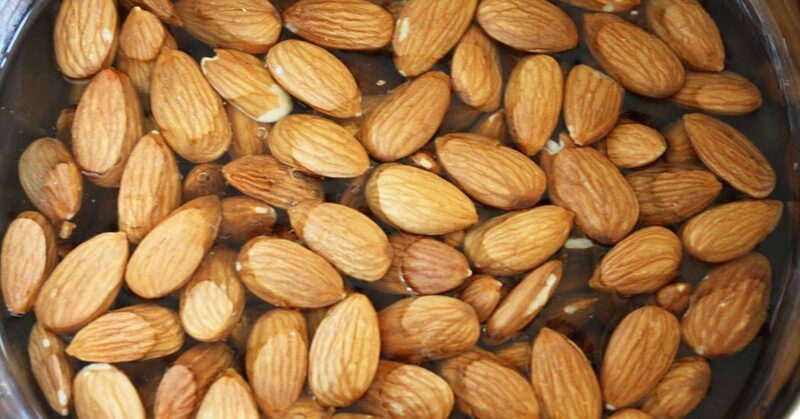 Add your almonds to a large bowl and cover them completely with water. Soak them for at least six hours (I usually just leave them overnight) until they are nice and plump. 2. After soaking add 1 cup of almonds and 1 1/2 cups of water to your food processor or blender (you need to work in batches, don’t try to add all the almonds and water to the processor at once) and blend for about 30 seconds. You’ll end up with a frothy, milky looking mixture. 3. 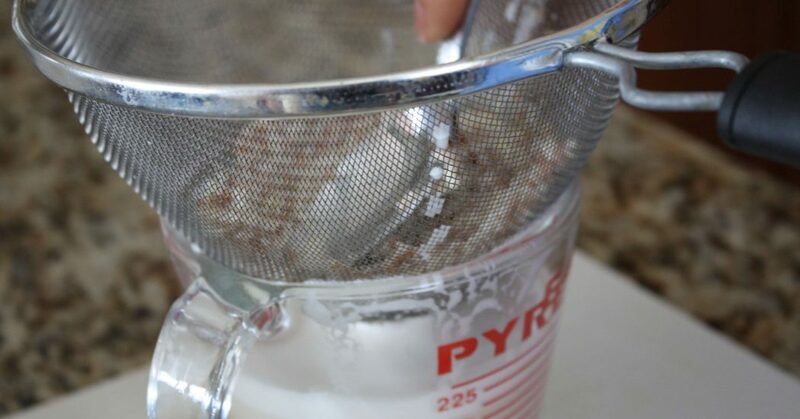 Pour the mixture through a fine mesh strainer into a bowl or other container. 4. Press any extra liquid out with the back of a spoon or spatula. You want to try to get as much liquid as possible out of the almond pulp. 5. 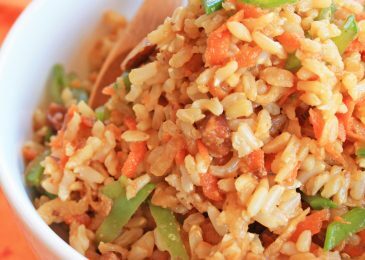 Remove the almond pulp from the stainer and place in a separate bowl and set aside. 6. 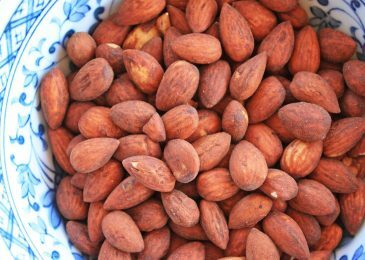 Repeat steps 2 – 5 until all your almonds have been processed. 2. Spread the almond pulp on a baking sheet as evenly as possible. 3. Place in the oven for about an hour or until the almonds are toasted and brown. The almonds should be very dry. You could also use a dehydrator if you’d like. 4. 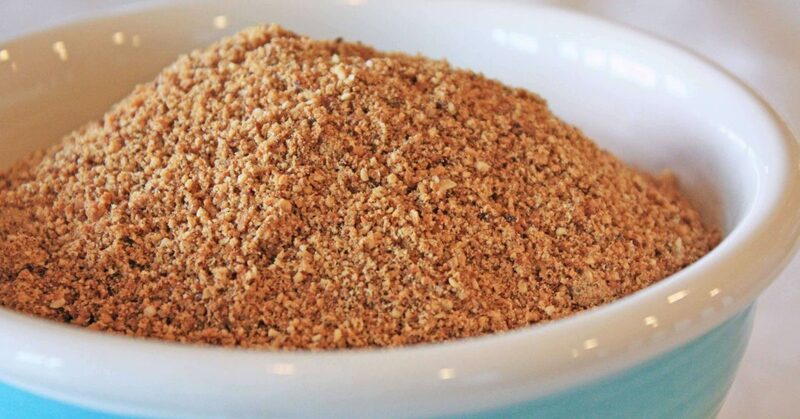 Transfer the toasted almonds to a blender or food processor and process until you have a fine grain consistency. 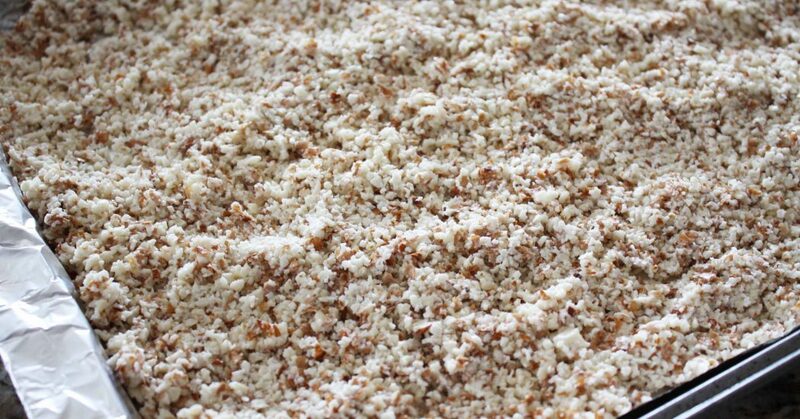 5. f there are any almond skins that didn’t get processed simply pour the almond meal through a stainer and discard the leftover skin. 6. 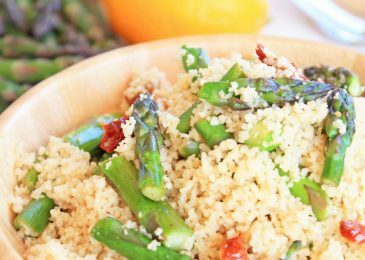 You should be left with about 1 1/2 – 2 cups of almond meal. Makes approximately 2 cups of Almond Milk and 2 cups of Almond Meal. I have no idea how to calculate the nutritional info of almond milk – sorry! 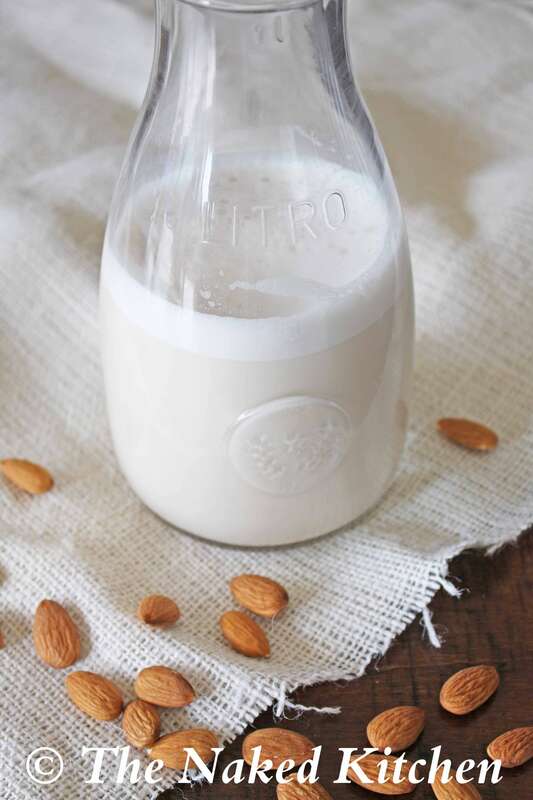 You can use this Almond Milk to replace milk in most recipes or anywhere you’d use a store bought almond milk. For a sweetened Almond Milk add a date to step 2 and process as directed. 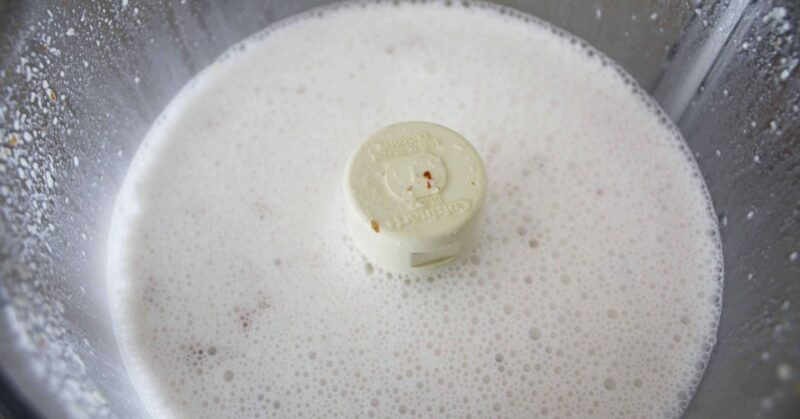 For a Vanilla Almond Milk add a couple of drops of vanilla to your milk and shake well. Almond Milk will keep in the fridge for about 5 days.